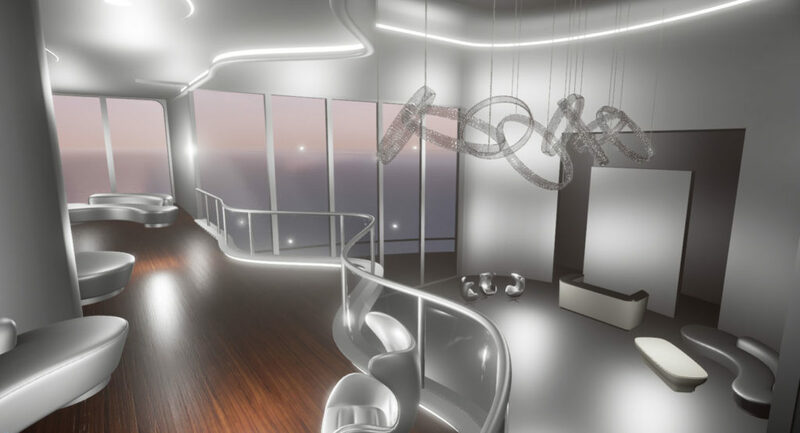 We are taking architectural visualization to new heights. 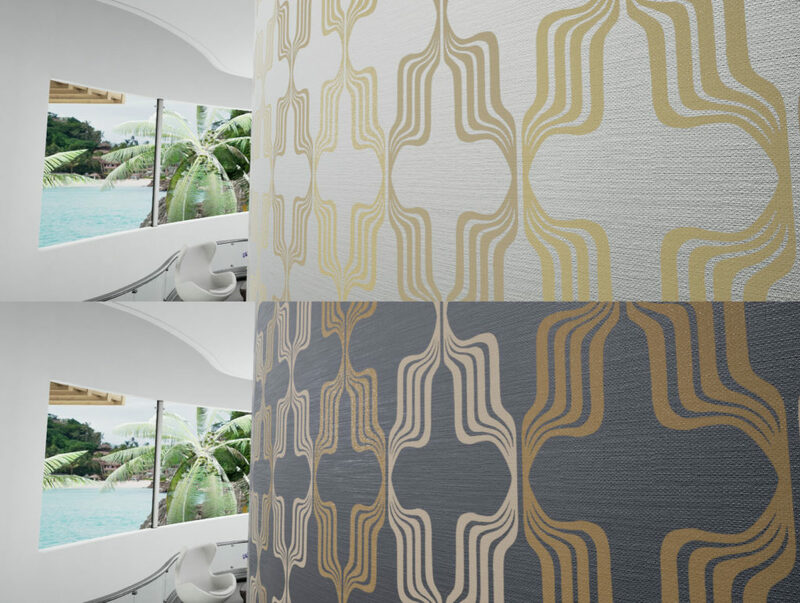 The studio has recently worked with TRI-KES, a company specializing in high-end wallpaper and upholstery, on a VR experience for the HD Expo in Las Vegas. 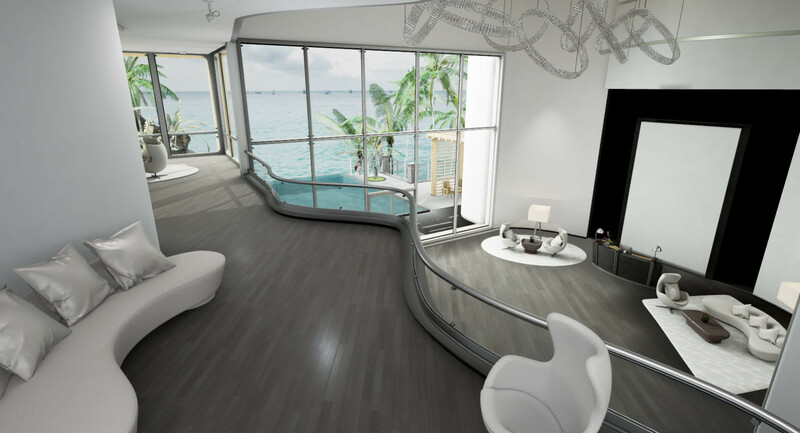 The goal was to create a hotel lobby with elements of Zaha Hadid’s architectural design. One of the Groove Jones’ artists, Chris Holden, created over 200 Material Instances from 20 masters with 80 textures based on real-world wallpaper and upholstery samples for this project. The results are mind-blowing. The project shows how you can use modern material techniques to get photorealistic results in VR. 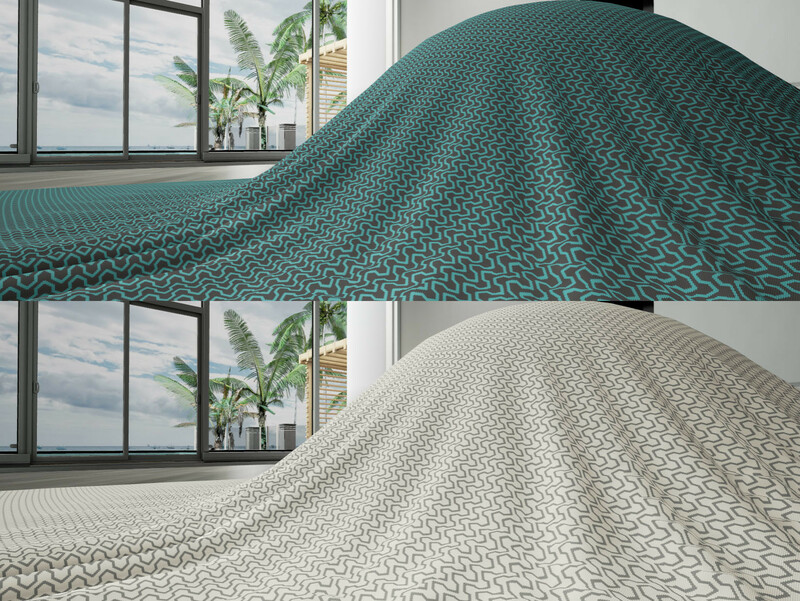 Attendees could change wallpaper and upholstery in real time Vive controllers. What is the production magic behind this project? Each wallpaper and upholstery had many custom requirements and parameters. 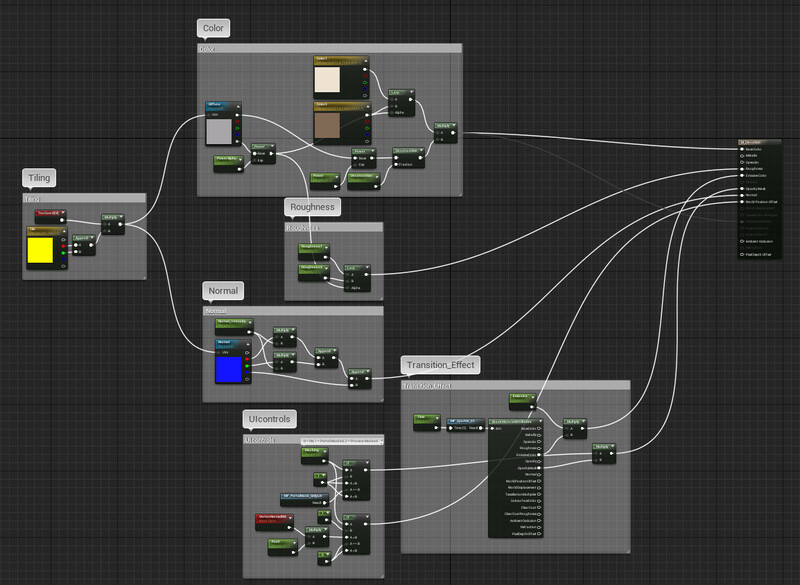 Patterns were created with a mix of techniques including; photo-sourcing real samples, hand-painting custom details and procedural generation in UE4’s material editor. Designed and built the environment blockout. The world lighting and detail was created by an external artist, Steve Allen. We worked closely in the process of modeling, materials and lighting meeting strict requirements of the client. Two-tone mask master. Note Transition function (see below and UI controls (for how material picked with Vive controllers) added to all Masters. Wallpaper with controllable UV scale, rotation, color, roughness per layer. Individual layer scale & rotation master material. Four mask & base color selector master material. Final interior. Walls & Furniture intentionally left blank for the the user to apply materials in VR. See the full project case study.